This is the one time of year when I like to reflect on the craziness of the hobby. So, let's all sit back, relax, have a cuppa or two, and reminisce. I have been collecting dolls for some time now. And 2011 has, without a doubt, opened my eyes to the world of doll collecting like never before. There's been a great diversity of dolls that entered my home this past year and I've really quite enjoyed the variety. Of course, a few Barbie dolls have entered my domain in 2011 and I daresay they will continue to do so for years to come. I have admired Barbie's beauty for as long as I've first held her in my hands and that admiration remains. However, a trip to Japan in March of 2011 has made me come to truly appreciate anime-eyed beauties. They're more playful, youthful and offers a wee more touch of whimsy! The big-headed cuties like Blythe and Dal takes that whimsy to another level. And I just love it. Monomono Dal, in particular, was the greatest doll find of 2011, as my aunt found her for 100yen [$1.00] at a local recycle shop in Saitama-ken. I could not believe my eyes. She had no box but she came in a display case with her original stand and personal effects. I've had a soft spot for Dal ever since. Integrity Toys irked me more times than I wanted to be irked with all their shipping delays so I can't say I was too excited with my dolly purchases with them in 2011. 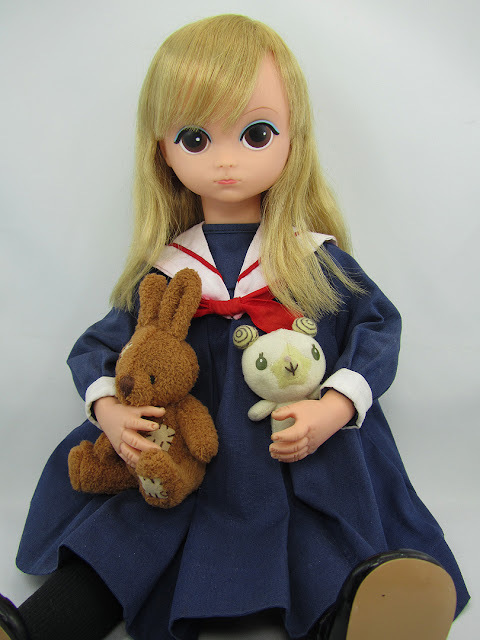 Nevertheless, there is no denying my love for the Poppy and Misaki dolls. They're just the right amount of fanciful and still a whole lot of glam. Lastly, for this 2011 'remininsce' segment, I'm re-sharing my Lonely Lisa. I had been eyeing this vintage doll for over a year and finally got a chance to own her last October. She needs restuffing to maintain her cuddliness factor but she's otherwise in great condition. Thanks for looking back with me. 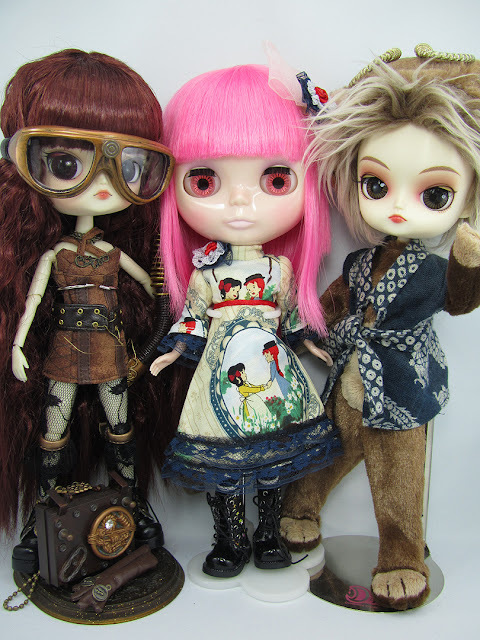 I have latecomer dolls from 2011 that I have yet to share, though I'm sure they'll be making an appearance here soon enough! Stay tuned and happy new dolly year to all! Oh wow looks like you've had a fantastic year of dolls. I love the variety you have there, I love them all. The $1 Dal is just the best, I bet you were so excited that would have made my year for sure!! I can't believe your aunt found the Monomono DAL for only $1!! What a great and rare find!!! Good Morning Amelie is my most favorite out of all the FR Nippon dolls I have and I'm glad you like her too! Wonderful 2011's purchases! "the craziness of the hobby" LOL! The only new type of doll I have been boying in 2011 were Monster High dolls. I juts love this steampunk dal! All cute. What is your Susie Sad Eyes wearing? Also please, what is pink haired Blythe wearing? (= Thanks! Susie Sad Eyes is wearing a Blythe outfit by Pommecopine on Etsy. Blythe is wearing a Pikadollyz dress, also from Etsy.